Clinical Associate Professor Robert Briggs is an Otolaryngologist whose practice and research is specialized in Otology and Neurotology. After completing Otolaryngology Head and Neck surgery training in Melbourne in 1989, Mr. Briggs undertook a further three years of clinical fellowship training at Johns Hopkins Hospital in the United States, the Royal National Throat, Nose and Ear Hospital in London and at the House Ear Clinic in Los Angeles. 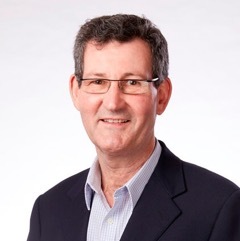 Mr. Briggs is Clinical Associate Professor in the University of Melbourne Departments of Surgery at the Royal Melbourne Hospital and Otolaryngology at the Royal Victorian Eye and Ear Hospital. Other current appointments are; Clinical Executive Director of Otolaryngology, Head of Otology and Medical Director of the Cochlear Implant Clinic at the Royal Victorian Eye and Ear Hospital, and Neurotologist at Austin Health. In addition to general otology and sinus surgery Mr. Briggs has a large experience with surgery for otosclerosis, acoustic neuromas and cochlear implantation. His research has focused on Cochlear Implant Electrode development and safety as well as Cochlear Implant outcomes, particularly in young children.